Self catering, and servicing, modern fully equipped 3 bedroom, 2 bathroom, 3 living areas warm with views to die for from every window. Timber lined interior with exposed beams and joist's give this home a warm rustic feeling second to none. The log fire is easy to use and will heat the whole house on the coldest of winter days helped by double glazing throughout which also leaves the windows free of moisture. The shower upstairs is powerful and will soothe away all aches and pains from the days skiing. Please bring your own bed and bath linen and clean after your stay. This is a smoke free house, thank you. Due to relative isolation you will need to take your recycling home with you or drop at Twizel or Omarama. Limited refuse facilities. Pets to be kept outside at all times. Please respect this. Please note: booking confirmed on receipt of deposit. Special conditions for Maadi cup. This house has a nice feel to it and has spectacular views. Really enjoyed gorgeous place, restful and private. We have had a great time staying in Ohau. The house is warm and clean and the view over the lake and mountains is spectacular. We met the owner and he lent us their kayak which was great for paddling around the lake. We enjoyed our short stay, looking at stunning view of lake Ohau at daytime and fullmoon coming over lake through the window at night. Thank you so much to the owner that they let us stay your holidayhome. A very comfortable and relaxed stay with stunning views of Lake Ohau and Mt Cook in the distance. We really loved our stay here. The house is big and comfortable. Great lake view. There are plenty of hiking and tramping opportunities in the area. Mt Cook is a little over an our drive. We really felt at home here. We are a little bit homesick now. Thank you please come again if you can. Lake ohau village is situated on the alps to ocean (A2O) cycle track. 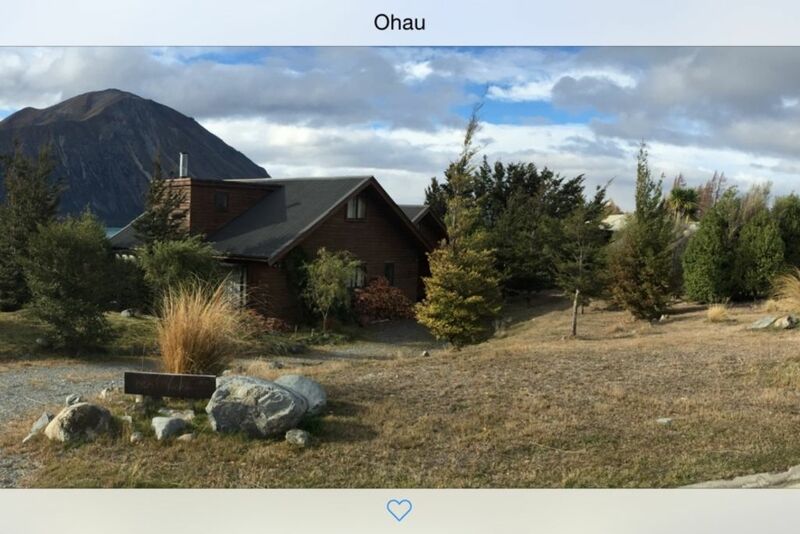 Staying here enables you to set off and cycle from a base, north to Twizel and Mount Cook or south over the spectacular mountain trail to Omarama. Here at the top of the track approx 3000 ft you have views to Mt Cook , the Ahuriri River and Lake Benmore.